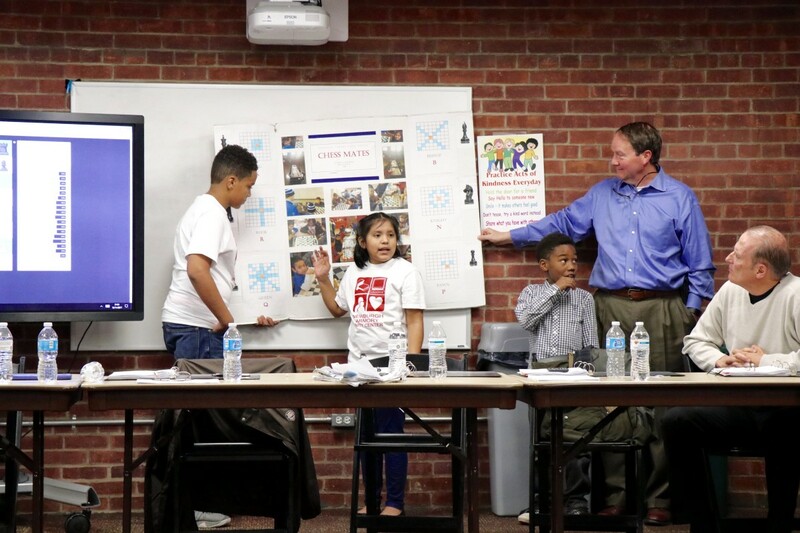 Last week, two Newburgh students presented to the Newburgh Armory Unity Center Board of Directors. 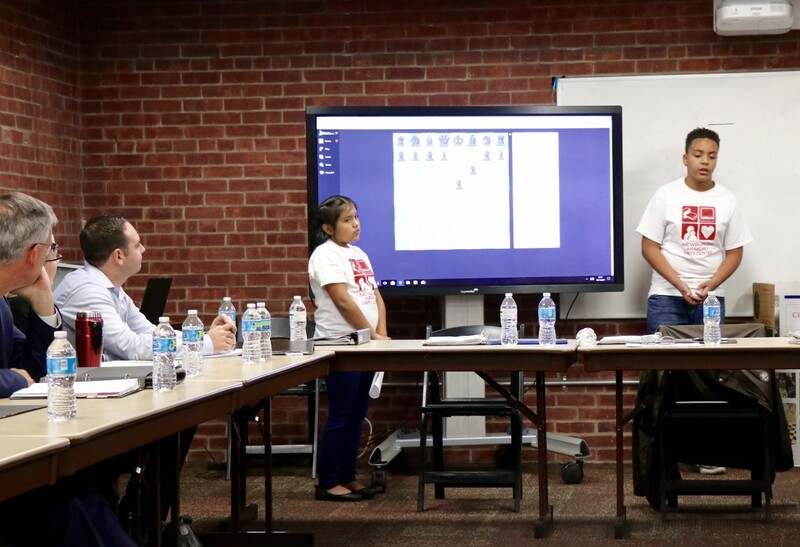 Students were given little direction and did a fantastic job talking about the Chess program at the Armory, the things they learn each week, and then students taught the board a few things about chess as well. 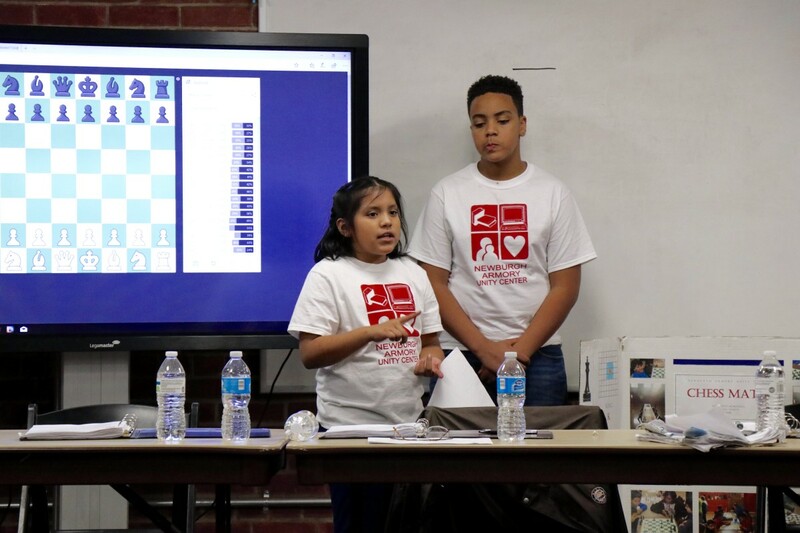 The Newburgh Armory hosts a Chess program for kids every Saturday morning and has an Open Inter-generational session every Wednesday from 6pm – 7pm. Instructors include Newburgh Enlarged City School District Board member, Mr. Andrew Johnston who instructs the students in Chess and also teaches students to become teachers of the game as well, with the philosophy that students learn by teaching and their using chess to build community. Omari, 6th grader at South Middle School and Isabella, 4th grader at Temple Hill Academy used Promethian boards to demonstrate a game that could be played with someone anywhere in the world and distributed handouts that taught algebraic notation for strategy. Students use math skills in a big way to understand the mistakes they make and how to approach the game more strategically in the future. “Winning isn’t everything, if everyone has a chance to play and we help to build our chess community, then that’s what we can be happy with.” Omari, 6th grader at South Middle School. Upcoming programs offered by the Armory can be found here.